Photo: Paper all the way. Even if you’re not a fan of science fiction—it’s certainly not a genre we usually pick up—if you’re interested in Thailand and in particular the craziness of Bangkok and where it might be headed as we hurtle into the decades ahead, The Windup Girl makes for a good dystopian read. In this 2009-published biopunk book, which scooped various sci-fi awards for its author Paolo Bacigalupi, Thailand is under the reign of Her Royal Majesty the Child Queen, who has followed the 12th Chakri dynasty king (in real life the current, recently crowned king is Rama X). Sea levels have risen as the climate changed, but Bangkok survives thanks to a system of pumps and levees put in place under the king’s paternal guidance (some things never change). The world’s crops have been largely wiped out thanks to mutating plagues that stay one step ahead of genetically modified plants. Fossil fuels have been almost totally depleted. Neighbouring countries, or what's left of them, are embroiled in war as people starve. Somehow Thailand has survived this “Contraction”, and seems to be sitting on a seed bank that allows it to feed its people. But Thailand too suffers internecine rivalries. The Trade Ministry wants to open up the country to the world again as it slowly claws its way back to an “Expansion” era, but the Environment Ministry and its white shirts are intent on protecting the kingdom's crops. Smuggling and corruption is rife. Cue the arrival of Anderson Lake, a so-called calorie man from one of the large agricultural companies, posing as a factory manager as he tries to work out where Thailand’s crop seeds are coming from so they can steal them for profit. Naturally, he falls for the windup girl of the title, Emiko, a genetically modified human created in Japan. Left behind by her Japanese owner, she’s now an abused slave desperate to find a colony of windups said to be in the north of the country. The strength of The Windup Girl is its incredibly believable and detailed future world, along with the clip-pace of the plot. Massive genetically modified elephants—megadonts—that power the city? Why not? (Actually, we loved this.) Dirigibles and clippers as transport? Almost romantic, if it wasn’t for the all the death. Abandoned skyscrapers, some packed with slums? Makes sense. 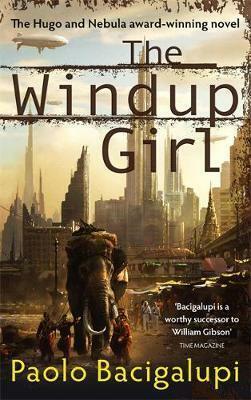 The Windup Girl is a realistic plunge into a plausible future, with a dystopian Bangkok as its backdrop. Read it to find a Bangkok you’ll recognise underneath a frightening veneer of futuristic imagination. 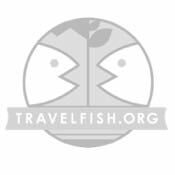 Travelfish.org are big fans of the Mekong Review. If you’d like to read intelligent and thoughtful material about the region, please consider subscribing. We do.